A lot of my experience with POTS specialist has been telling me things I can’t do. So which ones (for me) actually are worth a try and which ones just lower quality of life for not much payoff? These are just what have been my personal experiences over the past 5 years. Carbs and Sugar: Try it. One of our fellow POTSies, Ella (Deliciously Ella), changed her diet and saw a huge change in her symptoms. That is great but not everyone does. I have found that if I cut out most carbs and simple sugars I feel a bit better, but it really is just a bit. So try it. See if it is worth it and support another POTSie. It is worth it to mention that a lot of her recipes are not Gastroparesis friendly. If you have a broken stomach beware. 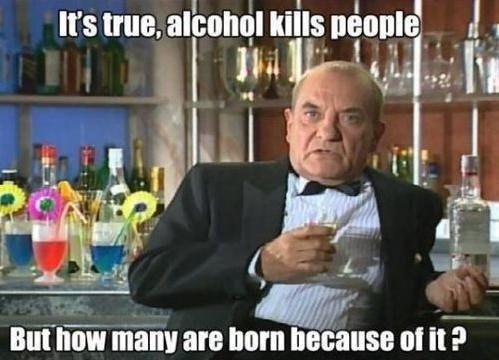 Stop Drinking Alcohol: Hell no! If I make sure to remain hydrated then I am going to drink. I was diagnosed with POTS when I was 19 and I have been drinking since I was 21. I love red wine and if I want to drink and be social the one time a week I can actually have a social life I am going to. I am in my young 20’s and POTS already feels like it has murdered my social life. I drink extra water, have extra salt, and say do it. I am not going to let POTS stomp out my entire social life. Just use moderation people. POTS + a hangover can set you back days. Stop Singing: What? NO. I had a doctor tell me to stop singing. It is supposed to help. Um are we trying to get rid of any fun I could possibly have? I sing in the car and that’s not going to stop. Working Out: HahaHaha. The fact that working out is supposed to help in a condition where we have exercise intolerance is the universe’s cosmic joke on us. For me personally this doesn’t go to well. I try and work out and end up passed out later that day and even worse the next day. It seems to be worth a try for most people but be careful if your POTS is severe. Eat a Ton of Salt: Do it. I have at least half a dozen kidney stones a year. They think it is both genetic and from my salt intake but I keep having salt. Because as much as kidney stones are terrible increased salt consumption helps me so much on a day to day basis. Drink a lot of water: Try it. Don’t go and drown yourself because that is possible. However, if you can drink a lot of water and can keep it down then why wouldn’t you try this? Raise the head of your bed: Why not? I have seen no benefit to this personally but raising the head of your bed is so easy it is kind of like why not try it? Wear Compression Stockings: Why not? I wear these all the time during the winter. During the summer it becomes a tradeoff between how much warmer they will make me and how much they will help with blood pooling. So usually I wear them but if it is 90+ I am probably going to leave them at home. Don’t stand a lot: Duh. My POTS is severe enough my body doesn’t leave me a choice in this one, but I think for a lot of people I is important to point out it helps. Get 9 hours of sleep: DO IT. This helps my POTS almost as much as water and salt. It is completely worth it to make sleep a priority for you. Which ones do you feel like are worth it? Agree/ disagree? Carbs and Sugar: Try it. Stop Drinking Alcohol: 2 glasses in an evening is fine for me (if balanced with water) but anymore and I am dead for about 3 days – no fun! Eat a Ton of Salt: Haven’t quite worked out how to do this yet but trying! Wear Compression Stockings: I agree with you on this one – hot vs compression!